This party package is an ideal alternative to expensive well known Jungle gyms. 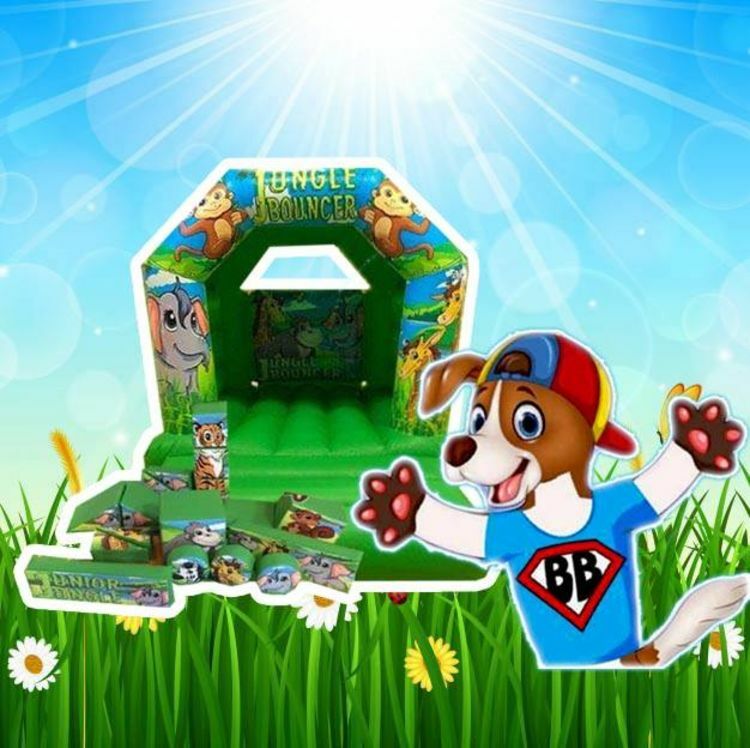 Compromising of our 17 piece soft play shapes, Ball Pool, 2 animal Hopers, Safety Mats, Adult survival kit and our 8x11ft Junior Jungle bouncy castle its great over the winter in local Village halls or community centers. suitable for Indoor use or Outdoor use April to September.